We are using multicast to deliver more than 20 MPEG-2 encoded video+audio streams in our network. The advantages of using multicasting in a network of more than 2000 machines are well known. But there are several scenarios when multicasting is not the right choice. I started writing such a solution two days ago and now I want to make the first lines of code available for everybody to try out. To speak simple: it’s just another proxy server. It’s a HTTP Server that can be triggered to join a multicast group (hardcoded in this version) and forward the traffic from that multicast group directly to the client that asked for it. It’s as simple as it can get and to be more technical: the proxy receives udp multicast packets and sends them as tcp unicast packets. As you can see: MPEG2-Transport Stream inside. So it works as designed. There are some glitches I am afraid to say: one known bug is that there are 12 bytes to much in the outgoing data stream which corrupts the picture. If anyone here can fix it: Do it please ;) I tried one day and I could not find a solution for the problem. 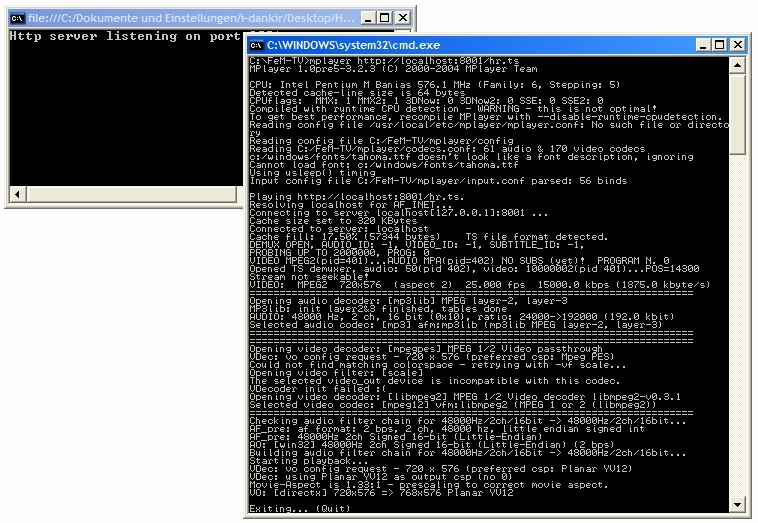 It compiles with Microsoft.NET 1.1/2.0 and Mono. There’s a Visual Studio 2005 solution file inside to help you compile it. (Should work with Visual C# Express Edition). Oh… and I am releasing it under the BSD license which is included with the package. of course ;) Nice script though. We had this running long before I made the C# version.